Insurer Great Eastern will target the area of retirement planning as a segment of significant growth for the company. 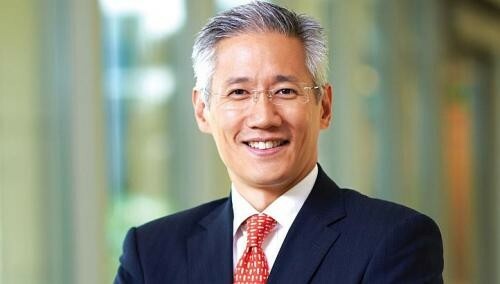 Group chief executive Chris Wei told The Straits Times that the segment here has much potential for growth and would be an area of focus for the company. "The real opportunity is in retirement. I would say this is a space that no company has properly tapped and we're doing a lot of work to understand what sort of solutions Singaporeans want to see," he said. With changing demographics and an ageing population in Singapore, Great Eastern has devoted much research to understanding consumer needs and developing a range of suitable solutions. It has found that Singaporeans want to save more and is exploring options to unlock the value of assets, such as their homes. Such options are being worked out, though the insurer has other products that give lump sums upon retirement, for instance. Still, Mr Wei acknowledges that the compulsory savings scheme - the Central Provident Fund (CPF) - is a hard act to follow for the private sector. But he said Great Eastern is looking to complement CPF with its health and savings offerings. The insurer is also preparing for a raft of fresh regulations in the new year. These include conducting more checks on financial advisers as part of the Financial Advisory Industry Review and ensuring it does not breach regulations under the Personal Data Protection Act. A data protection and governance office is being set up to handle the centralised management of data. Great Eastern will be hiring more compliance staff to deal with the increased regulatory requirements, though Mr Wei declined to give numbers. Great Eastern has also seen "healthy growth" in its other markets, namely Brunei, China, Malaysia, Indonesia and Vietnam. It expects that trend to continue next year and will concentrate on expanding its business in existing markets for now. "Geographic expansion for the sake of growth is not our preferred approach. We're in the six key markets that we want to be. There's no major market we're looking to enter and we are quite happy with the scope that we have," said Mr Wei. Great Eastern has more cause for celebration, with a recent accolade at the 17th Asia Insurance Industry Awards where it bagged the "Life Insurance Company of the Year" title. The company was lauded for its excellence in customer service and for constantly evolving to meet customers' needs - exemplified in its efforts to use social media to connect with customers. It is also in the midst of revamping its website to make it more intuitive and interactive, instead of just promoting its products and services. "In Asia, consumers have a strong tendency to research online before they talk to an adviser, so it's very important for us to help our customers navigate our website, (and) get the information they want on how insurance can help them," Mr Wei said.